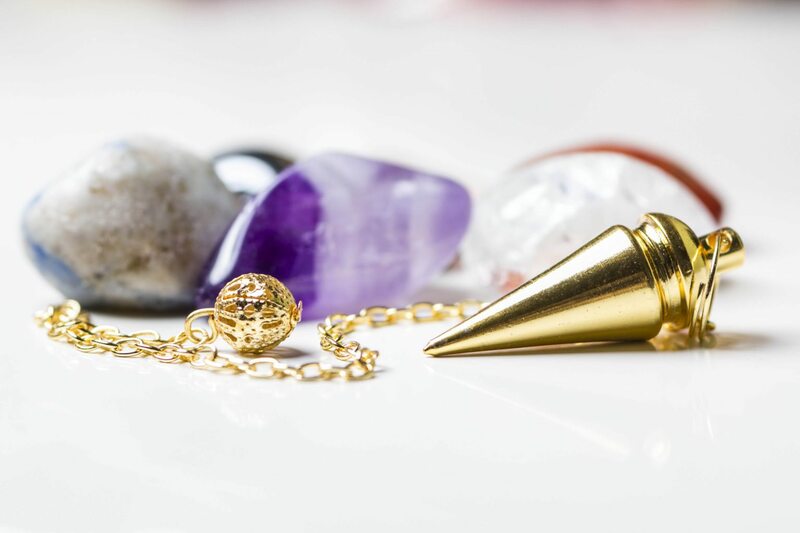 One of the great things about a pendulum reading is that a pendulum can give you a simple ‘yes’ or ‘no’ answer to any questions you might have. Before you can understand what the pendulum is telling you during a reading, you must learn which movement equals ‘yes’ and which movement equals ‘no’. To do this, ask your pendulum to show you ‘yes’. Keep your arm still and allow the pendulum to swing freely. Watch for any slight movements, such as swinging side to side, front to back or even moving in a circle. This will be your ‘yes’ movement. Next, you must find out what your ‘no’ movement is. Do the same as before and ask your pendulum to show you ‘no’. Wait for your pendulum to swing – this should be different from your ‘yes’ movement. The most important thing to remember is to be open and neutral, do not try and predict answers as this can influence your reading. Always be clear in the way you are phrasing your questions. If the swing of your pendulum is weak, try asking for a stronger response by saying aloud “respond louder please”, or “please be clearer”. Specific questions will always get the best answers! Don’t just ask “will I be happy?” try being more specific. “Will this new job make me happy?” is much better, and will give a clearer, more accurate answer. If you have a number of different choices for the pendulum to choose from, try writing them down. Write your choices on separate pieces of paper and lay them facing downwards in a circle. Ask your pendulum a question relating to your written choices, and watch as it swings over the best answer. If you have lots of different choices, you can even try creating an answers chart, such as this one by AskYourPendulum.com. Simply write each choice into a segment of the chart, distributing the choices evenly across the chart. Hold the pendulum over your chart and ask your question! Take the time to work with your pendulum regularly, you will quickly get to know how your pendulum works and will feel more comfortable using it to help and guide you. Have you ever used a pendulum before? Let us know your thoughts! I had put my pendulum over my heart and it went wonky and wacked me in the head around my third eye. Not sure what this means. I have a few ideas but would like more information please.